 Hampton Greens is located on 16 acres of sprawling, well-appointed landscape. Our serene community offers residents a unique, tranquil, nature-infused lifestyle, with spa-like features dotting the scenic terrain. Our spacious one- and two-bedroom apartments for rent feature unparalleled amenities including sleek metallic appliances, washers and dryers, vaulted ceilings, cozy fireplaces, and sun-drenched private patios. Best of all, we welcome cats and dogs at our pet-friendly apartment community in Bellevue, Washington . Step outside your front door, and you'll experience a range of high-end amenities including two shimmering pools, dry sauna, 24-hour access Package Locker Room with Wi-Fi Lounge, fitness studio, tennis court, playground, and resident lounge. We are a certified sustainable Green Globe community located close to I-405, Highway 520, Microsoft, Lake Sammamish, Bellevue Golf Course, and Marymoor Park. We have created a verdant community that allows you to indulge your senses. Come visit us at Hampton Greens.